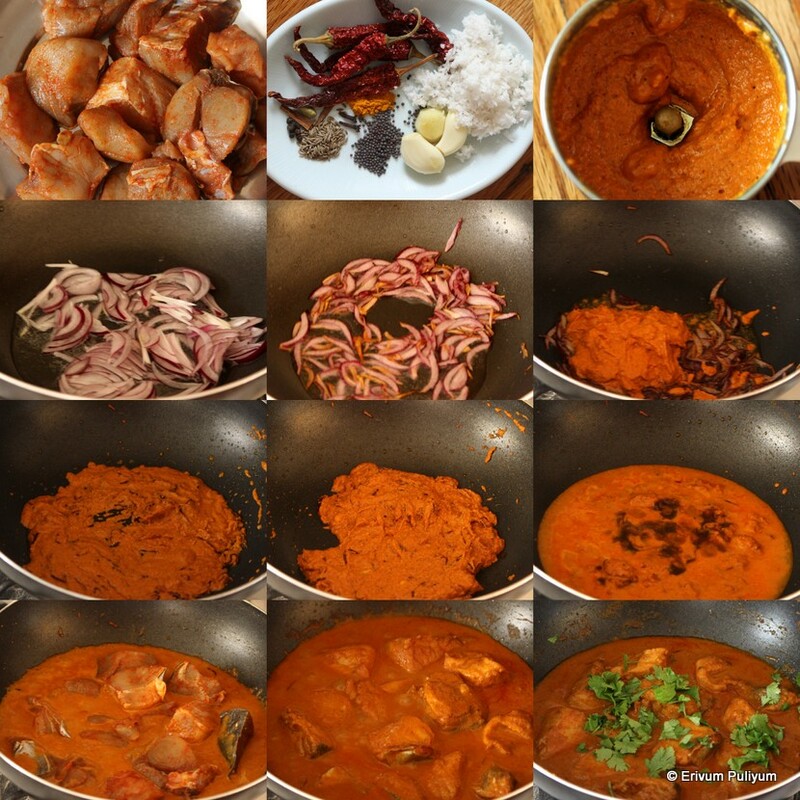 Mangalore dishes have quite resemblance with many of the Kerala dishes and recipes in matter of the ingredients used. They use coconut in many recipes like we Keralites do and that has attracted me to try these recipes without hesitation at the very first point as am sure my family will definitely devour it. This particular fish curry has close resemblance with Kerala fish curry as it has coconut paste and tamarind extract to highlight. However, you can add or leave out the coconut as it has a thick gravy without coconut too. Though I mentioned that this fish curry has many close similarities to our Kerala preparations but at the same time there are many differences too. We never use onion(though shallots we do in some fish curries), garam masala(spices like cinnamon,cloves), cilantro and vinegar in our fish curries. I haven't added vinegar and have adjusted with tamarind extract. Also, I like to taste any fish curry a little later(3-4 hours) after its made so that it gives ample time for the spice and sour flavors to amalgamate with the fish pieces. You should definitely try that way too. I have tried two more special recipes from Mangalore and those are listed at the end of this page, do check them out too if interested.You can also use any firm fish for this recipe, try and enjoy. It was indeed finger licking good, perfect with steamed rice !! Clean the fish pieces by rubbing with salt and lemon juice(optional) and wash under running water.Drain water in a colander and then marinate using the chilli powder and salt mentioned.Soak the tamarind in 1/4 cup water,squeeze the extract and keep aside. Warm up the whole spices lightly on low flame(optional step) and then make a fine paste using the all the ingredients listed 'for masala paste' with little water.Keep aside. Heat oil in a pan and add the sliced onion.Saute until the onion turn golden brown and then if you are adding green chillies,add at this point.Saute and then add the masala paste,reserve the blender cleaned water for later use.Continue to cook the paste on low flame until the oil separates. Add the reserved masala water,tamarind extract,1.5 cups water and lightly add salt (as marinated fish contains salt).Bring this to a boil on medium flame and wait till it thickens slightly. Slide in the fish pieces and then mix well.Cook covered for 4-5 minutes or until the fish is cooked and oil separates(Don't mix with a spatula else the fish pieces gets broken and just swirl the pan to coat the masala properly). Garnish with chopped cilantro and serve warm with rice. * The above recipe yields a moderately spicy curry.Increase or decrease spices if you wish that way. * The marination is optional but I like to marinate the fish pieces for a minimum of half an hour to overnight.If you skip this step add the green chillies mentioned later in the list.As I marinated with hot chilli powder so just skipped the green chillies. * The beydagi type of chillies are red dry chillies from Karnataka.I luckily had those from the Indian stores here and so used.The original recipe calls for seven chillies but I reduced to five as I have added chilli powder in the marination too.Also,if you are using any other red dry chillies,add as per the spice of the chillies. * I prefer to use coconut oil for coconut based fish curries,adds flavor and so used that.But you can use any neutral oil. * I haven't used vinegar and have altered the tamarind extract to meet the required sourness. * You can even use coconut milk powder instead of grated coconut. 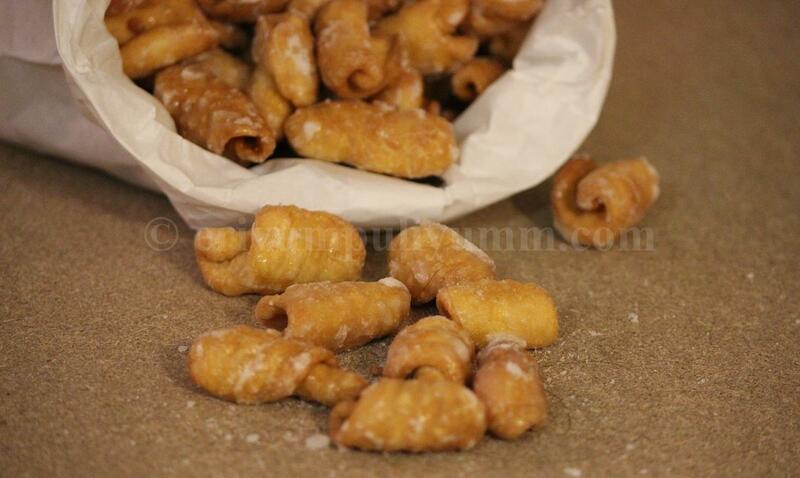 * I have adapted the recipe from here,Thanks Shireen. Your curry looks wonderfully tempting! Simply mouthwatering and as you have said, moderately spiced fish curry. Would surely try this preparation in this weekend. Lovely pics as well. I love coconut in fish gravy. Dish looks delicious! I'm using coconut every so often and I also love fish and curry. Sure, your dish is delicious. Regards, Julie. adipoli....must have been so finger licking good with some rice.